Having read chivalric romances Don Quixote decides to travel round the world to fight against evil and injustice. He dreams to dedicate all his heroic deeds to his beautiful lady Dulcinea. He appoints a very prosaic peasant Sancho Panza to be his armour-bearer. 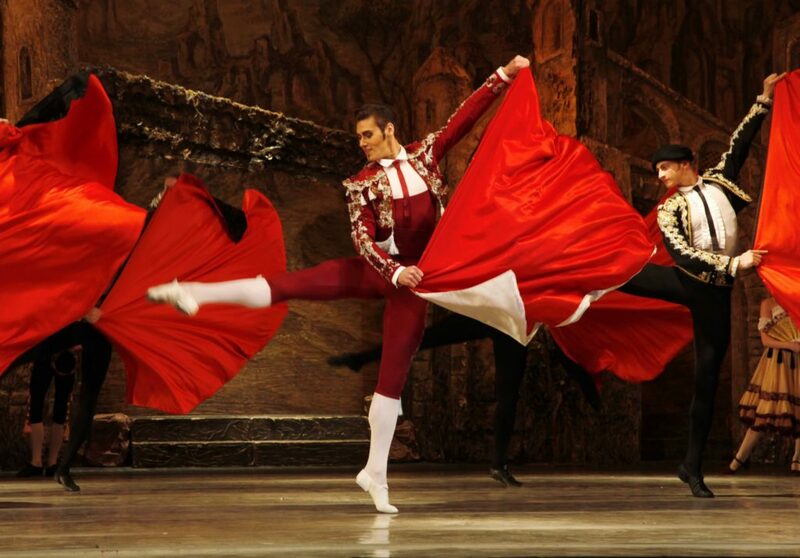 A holiday in Barcelona: everybody meets a famous toreador. 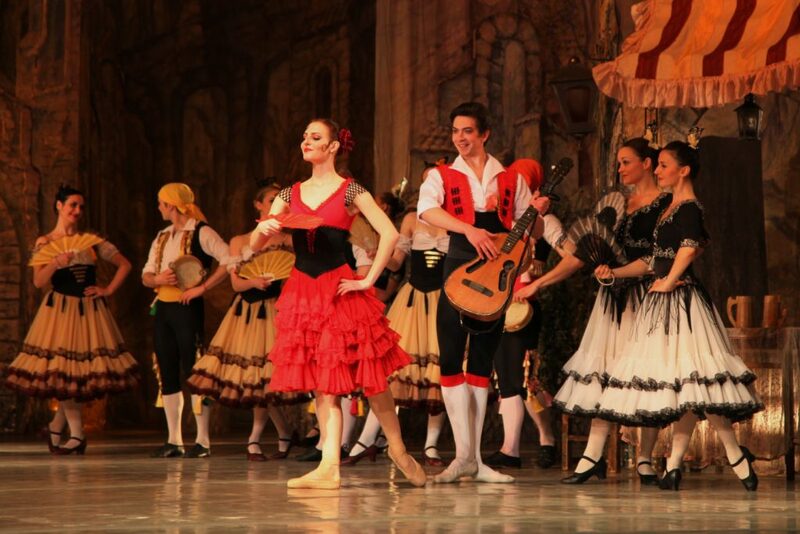 The daughter of the innkeeper Kitri is flirting with beloved barber Basilio. 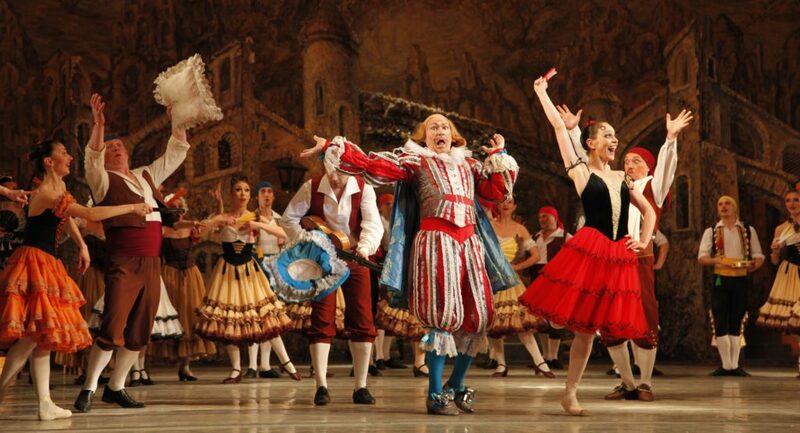 Having seen them together Kitri’s father Lorenzo banishes Basilio from his inn. 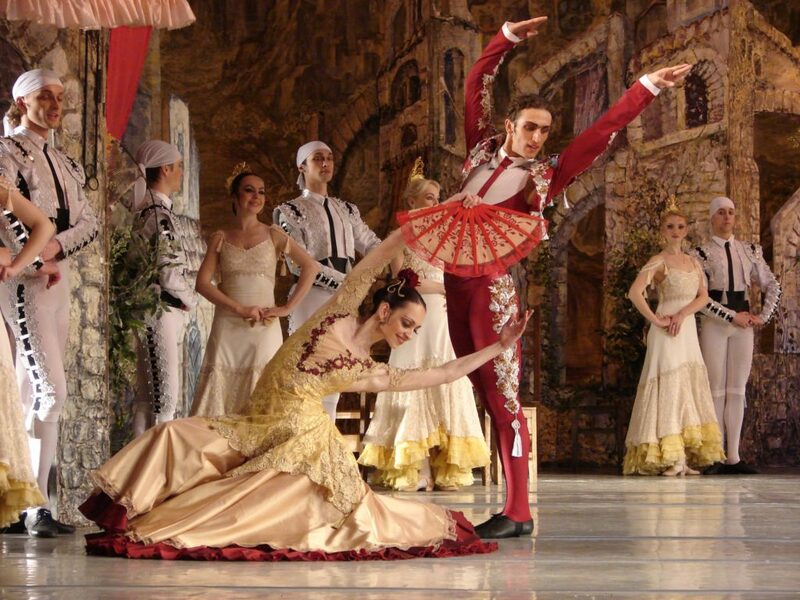 He wants his daughter to marry the rich nobleman Gamash but Kitri refuses to obey. The fest is in full swing and Don Quixote accompanied by his armour-bearer comes to the square. Don Quixote thinks that the innkeeper is the owner of a knight’s castle, and greets him with respect. 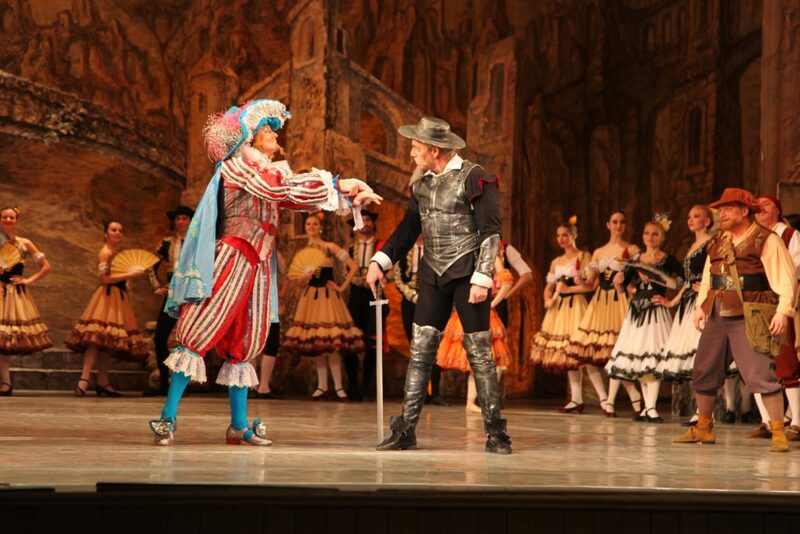 Lorenzo returns the compliment and invites Don Quixote to visit his tavern. Sancho Panza stays in the square. Young people make fun on him. Don Quixote hurries to help his armour-bearer. 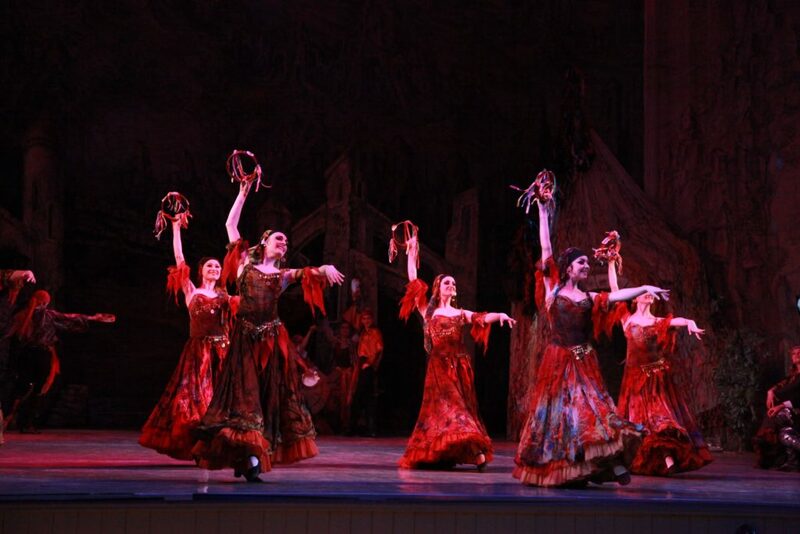 He notices Kitri and takes her for the beautiful Dulcinea. 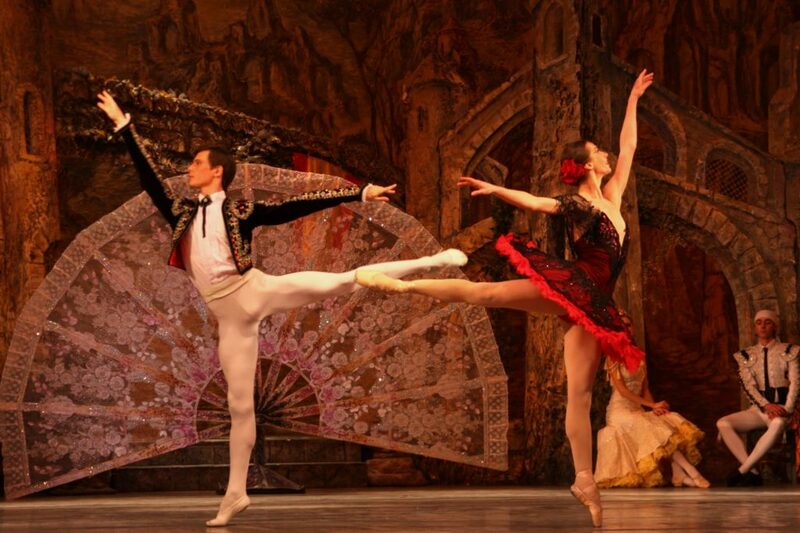 He goes to her but Kitri has already run away with Basilio. Don Quixote sets off to search her. 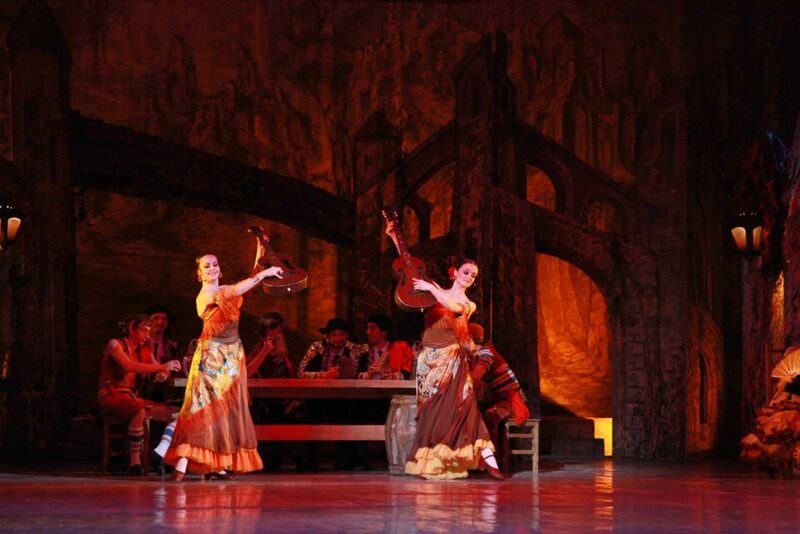 Kitri and Basilio have fun in a tavern where everybody enjoy themselves and dance. Lorenzo, Gamash, Don Quixote and Sancho Panza enter the tavern. The innkeeper wants Kitri and Gamash to get married immediately. Basilio pretends to commit a suicide. The girl “is weeping” over the body of her beloved. 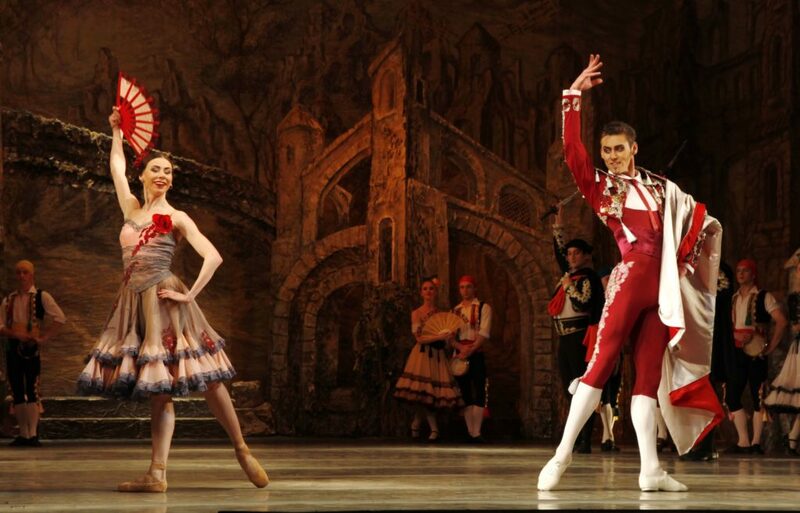 Threating Lorenzo with his arms Don Quixote makes him to accept his daughter and “the dying” barber marriage. The innkeeper blesses the sweethearts. Basilio needs not pretend to be dying now. Gypsies encamped near windmills. Tired Don Quixote and Sancho Panza have strayed there. An old gypsy convinces the knight that he is in a bewitched castle and invites him to the campsite. 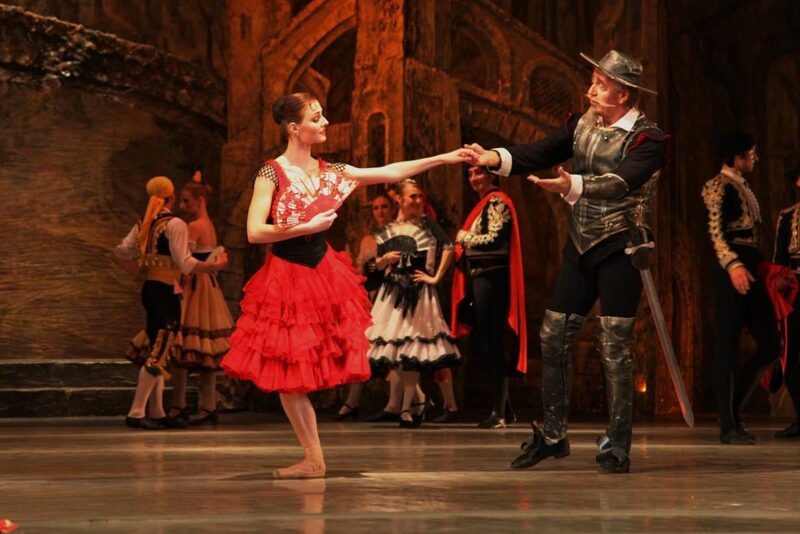 Listening to the young gypsy’s story about her unhappy love, Don Quixote gets angry and wishes to defend her. He takes windmills for wizards and attacks them. Tired Don Quixote and Sancho Panza are in the forest. The knight thinks that the forest is full of monsters and giants. However he falls asleep and dreams about his lady-love Dulcinea among the dryads. Meanwhile Sancho Panza runs to the town to call Lorenzo and his wife to help in a battle with “giants” and “wizards”. 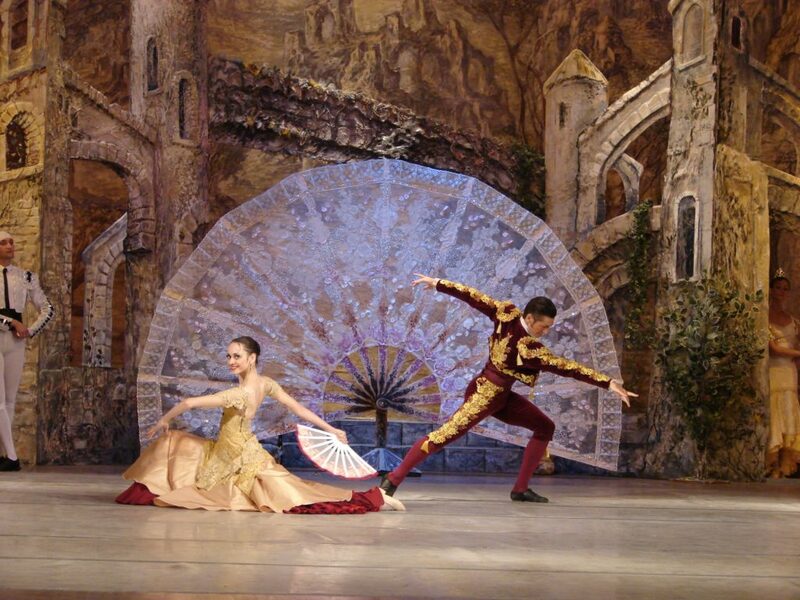 They invite Don Quixote to Kitri and Basilio wedding. A square in Barcelona. Everybody prepares for the wedding party. The wedding procession moves across the square. The parents bless a just married couple. Don Quixote joins their hands. Joy is in full swing. And what about Don Quixote? He has finished his good deeds and now is preparing for new adventures. Somebody has to perform feats, hasn’t he? 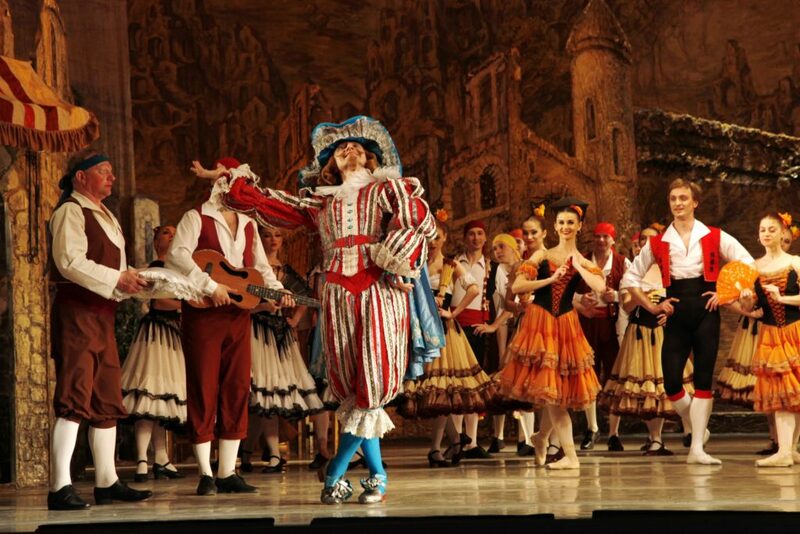 “Don Quixote” is the colorful festive ballet which is considered to be the pearl of the ballet art. 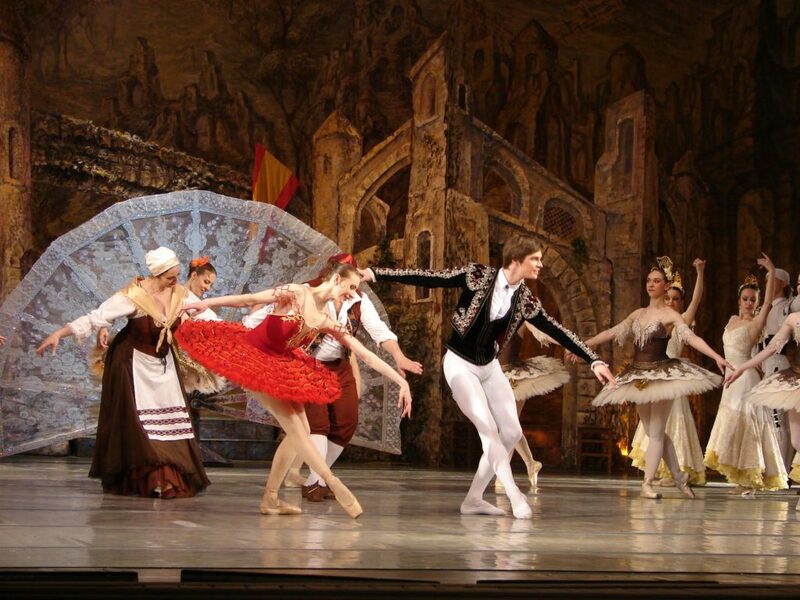 Fascinating plot on the novel written by Cervantes and the fiery music composed by Minkus, fervent dances with national color and the most complicated classical pas performed by main characters, magnificent scenery and splendid costumes impress the audience of all ages. 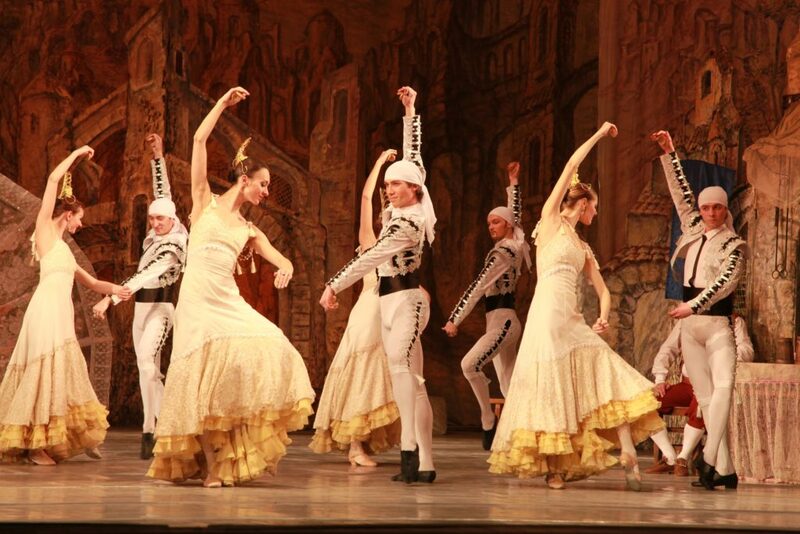 Choreographic version of the ballet is presented by choreographer Yulianna Malkhasiants.